April 1957: he makes his first appearance on stage at the Kabukiza, playing under the name of Ichikawa Kamejirô I in the dance "Yuya". May 1963: big name-taking ceremony for the Omodakaya guild. Ichikawa Ennosuke II becomes Ichikawa En'ô I; Ichikawa Danko III and Ichikawa Kamejirô I receive the names of Ichikawa Ennosuke III and Ichikawa Danko IV. May 1969: Ichikawa Danko IV takes the name of Ichikawa Danshirô IV at the Kabukiza, playing in the dance "Kusazuribiki". April 1976: revival at the Meijiza of Katsu Genzô III's drama "Ogasawara Sôdô"; Danshirô plays the role of Ogasawara Haito [casting]. April 1977: revival at the Meijiza of Katsu Genzô II's drama "Kimi-wa-Fune Nami no Uwajima"; Danshirô plays the role of Ôhashi Uzen [casting]. May 1977: revival at the Minamiza of Katsu Genzô III's drama "Ogasawara Sôdô"; Danshirô plays the role of Koheiji [casting]. July 1977: revival at the Kabukiza of Katsu Genzô III's drama "Ogasawara Sôdô"; Danshirô plays the role of Koheiji [casting]. September 1978: revival at the National Theatre of Namiki Gohei I's drama "Suda no Haru Geisha Katagi"; Danshirô plays the role of Kanaya Kingorô [casting]. April 1979: historic revival at the Meijiza of Tsuruya Nanboku IV long-forgotten play "Haji Momiji Ase no Kaomise" (commonly called "Date no Jûyaku"); Danshirô plays the role of Ôe Onitsura [casting]. August 1979: revival at the National Theatre Kawatake Shinshichi II's drama "Kanzen Chôaku Nozoki Garakuri"; Danshirô plays the role of Kaisaka no Chûzô [casting]. July 1980: revival at the Kabukiza of the never-performed 5th act of "Yoshitsune Senbon Zakura"; Danshirô plays the role of Yokawa no Zenji Kakuhan, in reality Taira no Noritsune, [more details]. 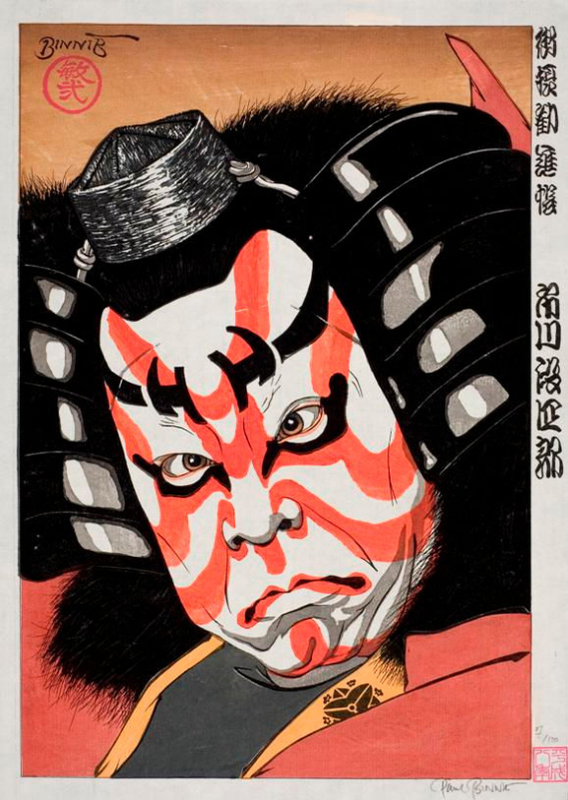 July 1981: revival at the Kabukiza of Tsuruya Nanboku IV's drama "Hitori Tabi Gojûsan Tsugi"; Danshirô plays the role of Akabori Mizuemon [casting]. April 1987: Danshirô takes part in the revival at the Meijiza of the play "Jûni Hitoe Komachi Zakura", which includes the famous Tokiwazu-based dance-drama "Tsumoru Koi Yuki no seki no To" [more details]. January 1995: Danshirô takes part in the 14th Kabuki performances at the Asakusa Kôkaidô to celebrate the 100th anniversary of the Shôchiku Company [more details]. March 2007: tour in Paris (France); Danshirô plays at the Palais Garnier the role of Hitachibô Kaison in the dance-drama "Kanjinchô", which celebrates the Ichikawa clan [more details]. March 2009: Kabuki adaptation by the famous stage director Ninagawa Yukio of Shakespeare’s "Twelfth Night", which is entitled "Ninagawa Jûniya", from the 24th to the 28th of March 2009 in London (UK) at the Barbican Theater; Danshirô plays the role of Isoemon (the Captain) [more details]. The same play is staged with the same casting in June 2009 at the Shinbashi Enbujô and in July 2009 at the Shôchikuza. Ichikawa Danshirô IV is a talented katakiyaku of the Omodakaya guild. Ichikawa Danshirô IV playing the role of Benkei in the drama "Gohiiki Kanjinchô"